Through Project SEED, disadvantaged high school students get opportunity to do hands-on chemistry research at UMSL. 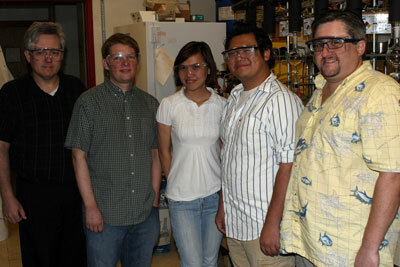 From left, Keith Stine, professor of chemistry; Eike Bauer, assistant professor of chemistry; Mai Nguyen, Hung Nguyen, both graduates of Gateway Institute of Technology; and Stephen Holmes, associate professor of chemistry. Two recent St. Louis high school graduates donned lab coats and worked as research scientists this summer as part of a lab internship at the University of Missouri–St. Louis. 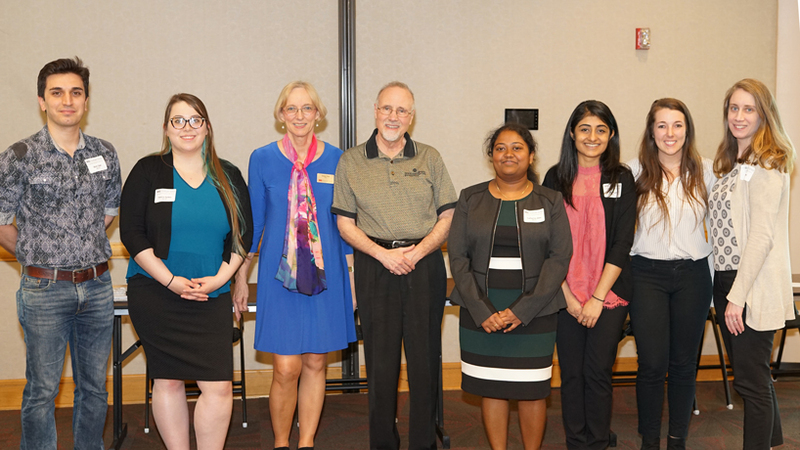 With sponsorship from the American Chemical Society, Sigma Aldrich and the Department of Chemistry and Biochemistry at UMSL, the students participated in the ACS Project SEED. Juniors and seniors who have completed basic chemistry work alongside their scientist-mentors on research projects, learning about the process of science as well as possible career paths in the field. The eight-week program is designed to help students gain confidence, attain a sense of direction and realize their own potential. 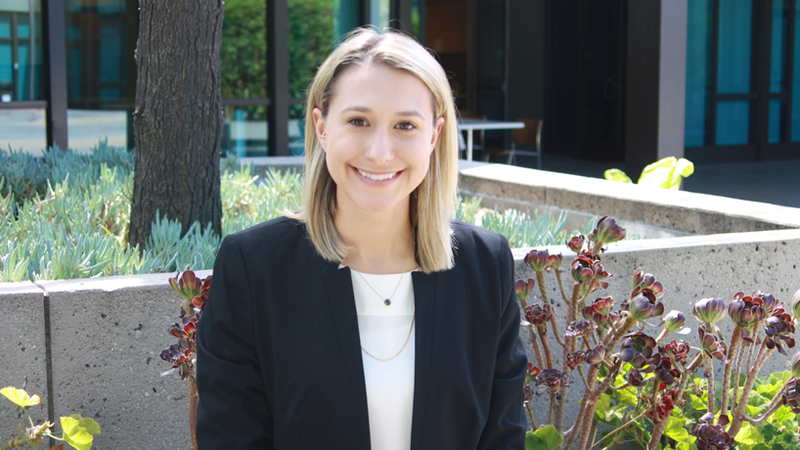 Project SEED targets economically disadvantaged students and provides them with a $2,800 fellowship the first year. 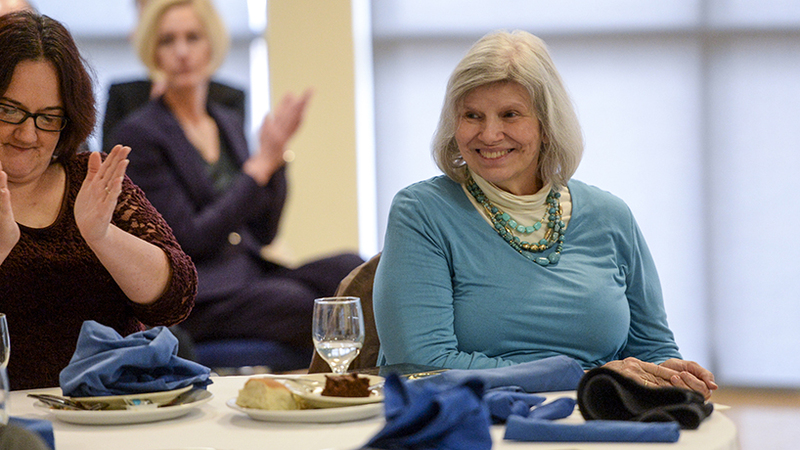 If students return a second year, they receive a $3,000 fellowship. The program emphasizes career development and the pursuit of higher education after high school. An important feature of the Project SEED program is its emphasis on career development and its motivation of students to pursue higher education in the sciences after their graduation. Students are required to study chemistry for a year prior to their joining Project SEED. Mai Nguyen, 18, who graduated from the Gateway Institute of Technology, is working on “Better Catalysts for Better Pharmaceuticals – Development of Energy- and Cost-Saving Catalysts for Pharmaceutical Production.” She is working under the direction of Eike Bauer, assistant professor of chemistry and biochemistry at UMSL. Mai is researching how to speed up chemical reactions through catalysts. The research is considered “green chemistry” since it saves energy because chemical reactions typically do not have to be heated when a catalyst is employed. She is testing the efficiency of certain catalysts and will have to turn in a report at the end of her eight weeks. Mai, who has not yet picked a major but knows she wants to go into the sciences, said she really appreciates the one-on-one interaction with Bauer as well as doctorate student Pushkar Shejwalker, who works in Bauer’s lab and is also overseeing Mai’s project. Mai joked that Shejwalker never tells her the answer. “He makes me find it myself,” she said. Hung Nguyen (no relation), 18, also a graduate of Gateway Institute of Technology, is working on the project, “Low-Coordinate Molecular Building Blocks for Single-Molecule Magnet Construction,” with Stephen Holmes, associate professor of chemistry and biochemistry. Hung’s main goal is to create experiments with metals that high school students can do with limited supplies and resources. Hung, who is currently planning to double major in a pre-medicine program and English literature, said his experiments are nearly foolproof. “Even if the students mess something up at a certain point, they will still get to run the original test and still get a certain product at the end,” he said. Hung said he likes Project SEED because he always wanted to work in a lab, it’s a paid internship and he can learn a lot in a short amount of time. “It’s been very rewarding,” he said. Alumnus Phillip Norris, who earned a bachelor’s degree in education in 2009 and is a chemistry teacher at Gateway, nominated both students.